So I ordered a new one from the Microsoft Store but being a geek, I bought one with the Wireless Adapter for Windows. 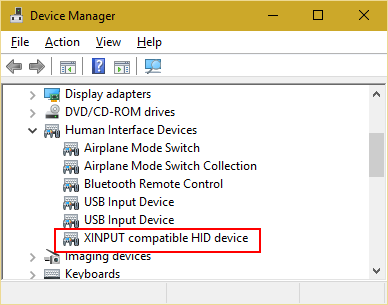 This adapter makes it possible to use it on a Windows 10 device, like my laptop. But again, being a geek *developer*, I was searching on the web on how to code against it in a UWP app. The internet was not really revealing much but finally, I came across the XInput information and the default available Windows.Gaming.Input namespace. There was no extra Nuget package needed. And there it is, all the buttons and the position of the sticks are available for us. So now you can build your own game and use the controller as an input device.